What we leave out of our food is as important as what we put in. 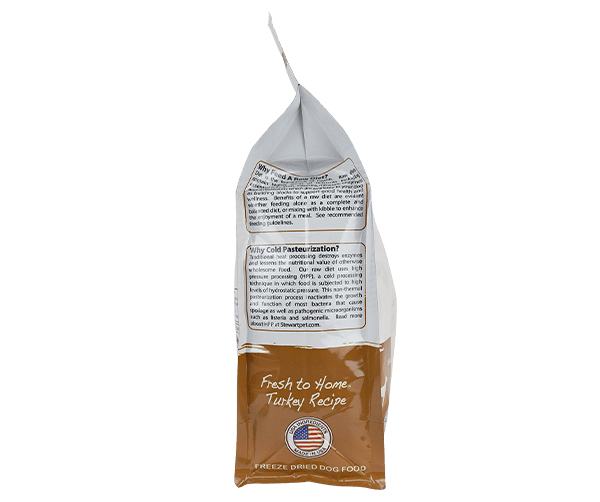 In our Fresh to Home turkey dog food, you won’t find fillers, gluten, grain, soy or artificial flavorings. 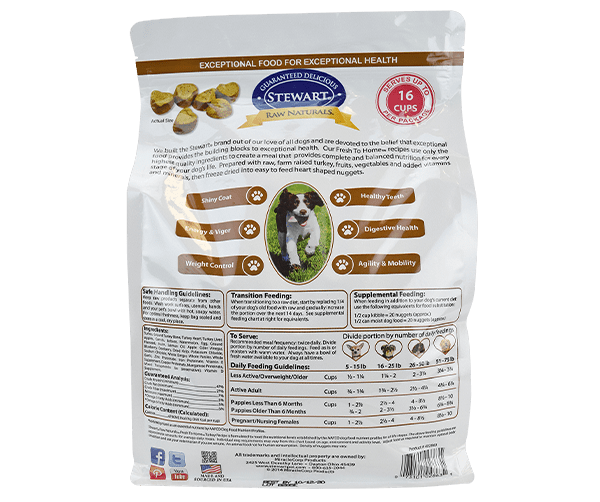 The single-source protein is easy to digest and ideal for rotation diets and suitable for all ages and stages of a dog’s life. 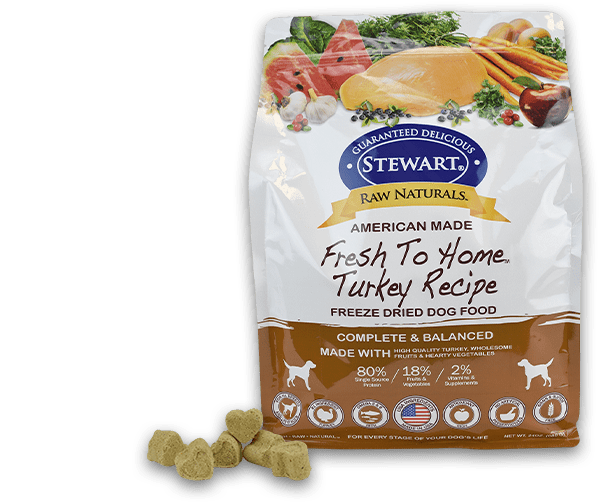 Inspired by a dog’s natural diet, rich in animal protein, the #1 ingredient in Raw Naturals grain-free turkey dog food is turkey. We start with locally raised turkey, then add fresh ripe fruits and vegetables to provide antioxidants and vitamins. 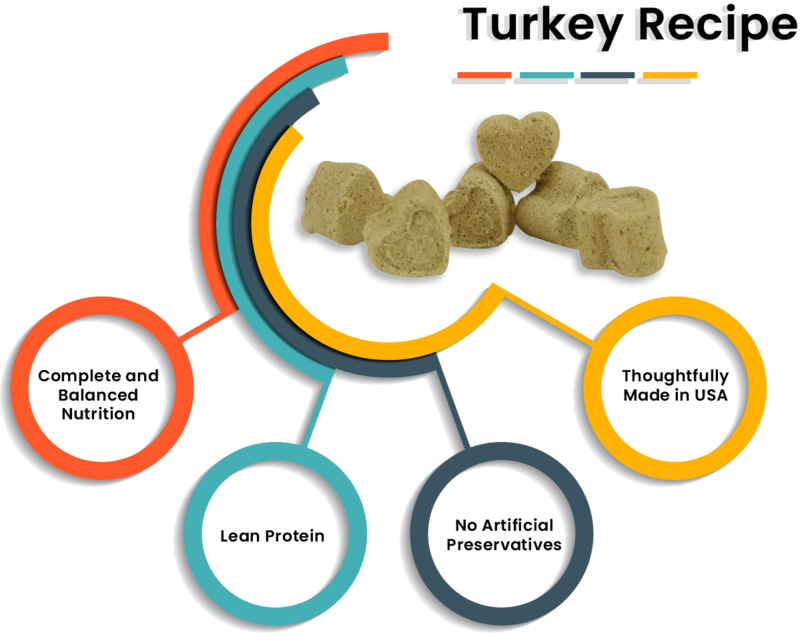 Raw Naturals small batch dog food is freeze dried to lock in nutrition and maintain superior taste. 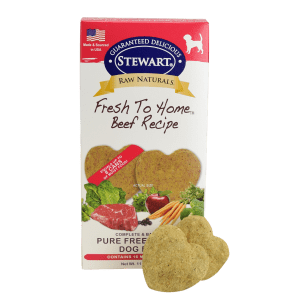 Freeze dried dog food is also lightweight and shelf stable to make meal time easy: An everyday celebration of love for your dog. Divide portion by number of daily feedings. Feed as is or moisten with warm water. Have a bowl of fresh water available to your dog at all times. When transitioning to a raw diet, start by replacing 1/4 of your dog’s old food with raw and gradually increase the portion over the next 14 days. See supplemental feeding chart at right for equivalents. 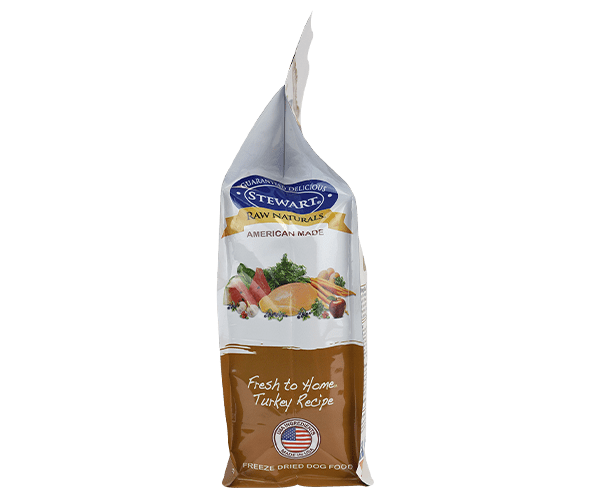 Resealable Pouch: 12 oz., 24 oz. Our Raw Naturals freeze dried recipes are available in five other irresistible varieties.